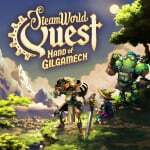 Yesterday may well have presented us with crazy amounts of exciting Nindie goodness, but there's another title gearing up for release that definitely shouldn't be forgotten about: SteamWorld Quest. Yes, Image & Form's upcoming SteamWorld game is a particularly interesting one, partly thanks to the fact that the series is being taken in a completely different direction. As if to remind us all that it's still on the way after yesterday's excitement, the studio has shared some brand new gameplay footage via Twitter. To be more specific, you can get a good look at how battles will play out in the game, including the card-based system you'll be learning throughout your playthrough. Take a look below. We still don't have a release date for this one just yet, but it looks like we'll be finding out more soon enough. Are you excited for this one? Will you be giving it a go whenever that glorious date does eventually come around? Let us know in the comments. Love the art style, don't mind the cards, but always enjoy turn based battles more when there's some sort of additional input required, such as Paper Mario Thousand Yea Door or Stick Of Truth. 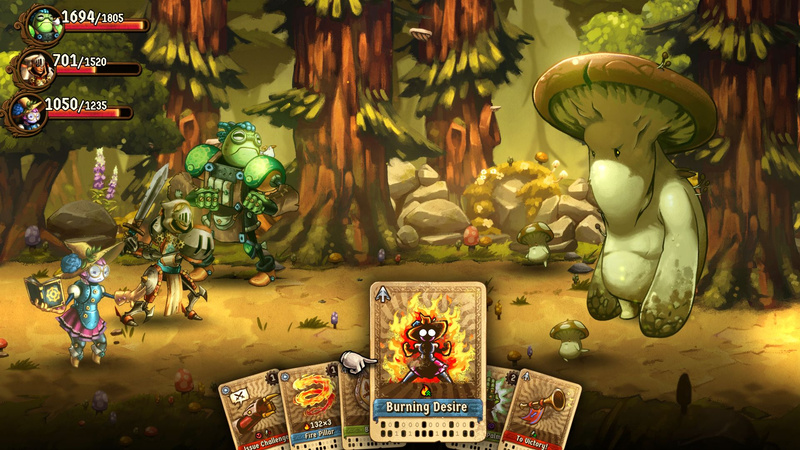 I love the steamworld universe and have played all 3 games so far but I just can’t get excited about the card mechanic in this one. @Scottwood101 agreed. Would love thousand year door on switch more than any other game. Love it! Really excited for this game. Day one buy. The battle system really looks different from what I expected and seems to have a fresh approach. I'm absolutely hyped about this game. Day one buy. We already saw battles in the first trailer. Need to see the rest of the game. Exploration and character interactions! We need more solitaire games on Switch! @Coxula Me too, despite initial misgivings on the card system. Loving the the character designs, and the system looks fun! These are all robots, however, so PLEASE, Image & Form, add some proper chunky weight and timing to those floaty idle animations! You're making me seasick here!! At first I was on the fence due to the cards, but not anymore. Image&Form "never done me wrong", so I'll get it for sure. I'm confident I'll like Quest much better than I liked Wargroove.